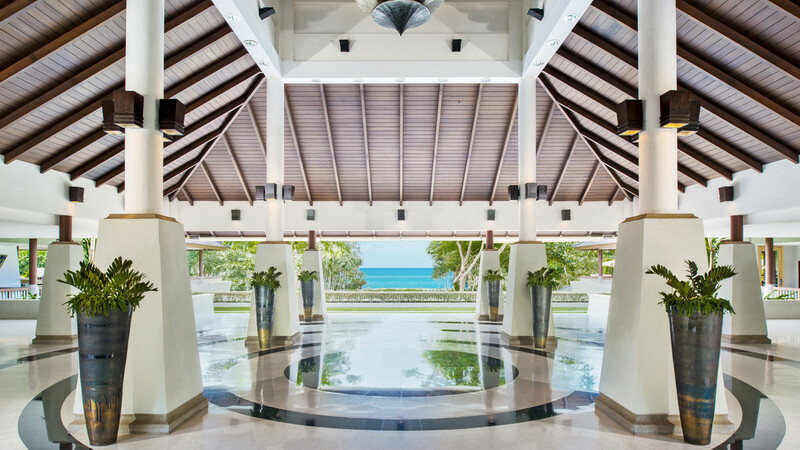 The award-winning Dusit Thani Krabi Beach Resort is one of the most popular resort hotels in Krabi. 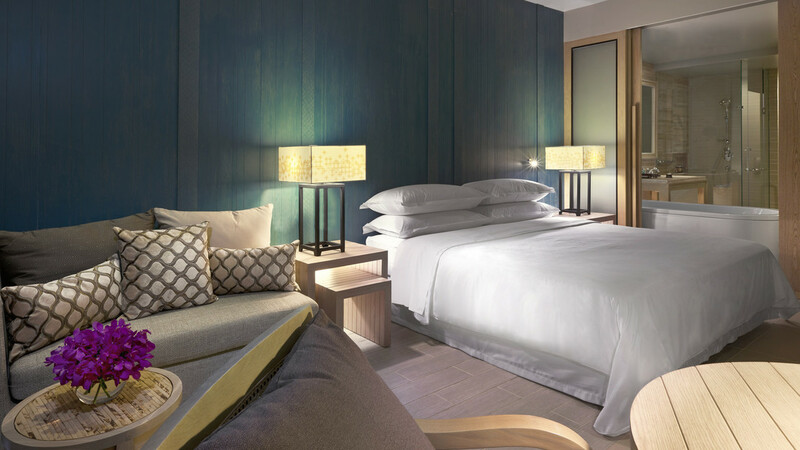 Having been awarded the ‘Outstanding’ accolade in the Tourist Accommodation Category at the 2017 Thailand Tourism Awards, your getaway at the Dusit Thani Krabi Beach Resort will be one of the most luxurious stays you’ll ever experience. 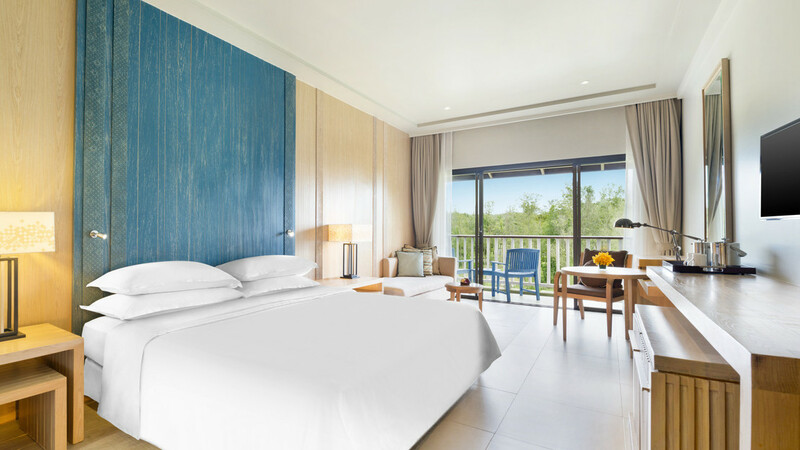 With a contemporary Thai style running throughout the whole resort, guests are free to indulge in as much – or as little – activity as they want. Relax in a hammock under ancient trees, boost your energy in the incredible Mandara Spa or spend the day snorkelling in the Andaman Sea. This is a peaceful sanctuary where you can get back to feeling like you again. With its attentive team of staff, incredible facilities and top class cuisine, the Dusit Thani Krabi Beach Resort has everything you need for a long holiday in Thailand. A diverse mix of bars and restaurants offer guests a chance to indulge their taste-buds with local and international dishes. 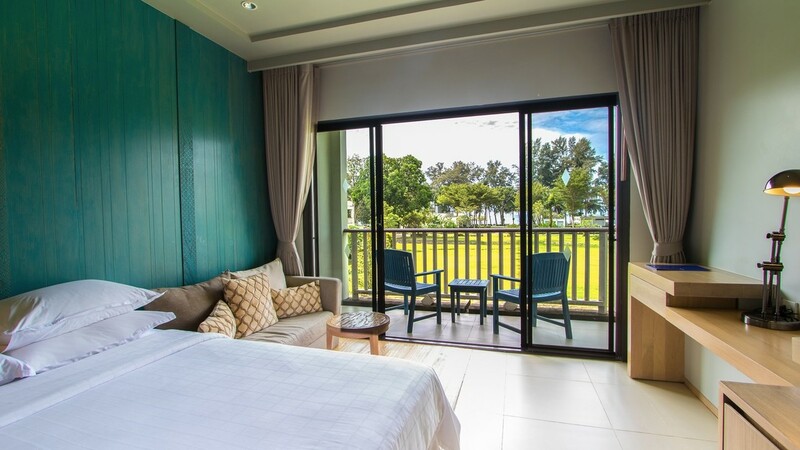 For anyone looking for the best Krabi hotels on the beach, the sophisticated, luxury facilities make this an ideal location for special celebrations and occasions, with superb support for organising your event. Whether it’s a romantic getaway you’re seeking, or a family holiday to remember, Dusit Thani Krabi Beach Resort is set to welcome you into exotic paradise. 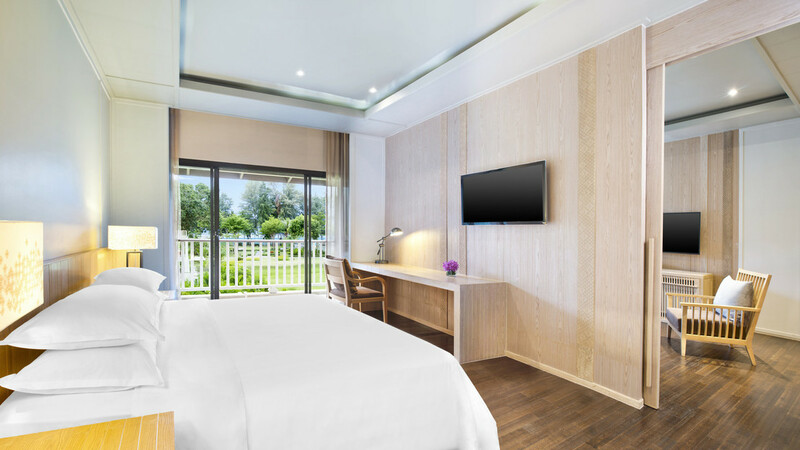 Experience this Krabi hotel’s 5-star luxury by booking your stay for 2018/2019. Dusit Thani Krabi enjoys an idyllic beachfront location, with the 1.8km of Kluong Muong Beach just a few steps away. There are bars and restaurants within a 5-minute walk of Dusit Thani Krabi Beach Resort. If you fancy exploring further afield, lively Ao Nang is just 8km away, or Krabi Contemporary Art Museum is 25km away. Practise your swing in the sun at Phokeethra Country Club approximately 4km away, or take an excursion to one of the many nearby islands. Krabi Airport is approximately 32km away from Dusit Thani Krabi Beach Resort. Dusit Thani Krabi Resort satisfies every culinary desire with a wide range of gastronomic experiences. From casual, al fresco snacks overlooking the Andaman Sea to the Mediterranean-inspired signature restaurant, guests will find the perfect dining experience to suit any mood or taste. This stunning all-day dining venue features western and pan-Asian cuisines, with an extensive á la carte menu. Specialty chefs offer a variety of buffet themes, ensuring every meal is memorable. Experience the aromatic delights of Thai and Indian cuisine taking in all its variety, flavour and tradition in this beautiful beachfront restaurant. Delicious fresh pastas, salads, and an extensive array of fresh seafood and vegetarian dishes, all made with a Mediterranean influence. Enjoy dining amongst breath-taking ocean views and a refreshing sea breeze in this indoor and outdoor terraced restaurant. Sit poolside under palm trees, while feasting on international and Thai favourites and enjoying the stunning sea view. A modern, stylish swim up pool bar set in the cooling waters of the Malati Infinity pool. Experience adventurous cocktails, lunch time favourites and relaxing music all while bathing in the refreshing water. Enjoy an evening of hand crafted cocktails and cool live piano sounds under the star-lit sky. This open-air lounge features contemporary décor and fabulous views.